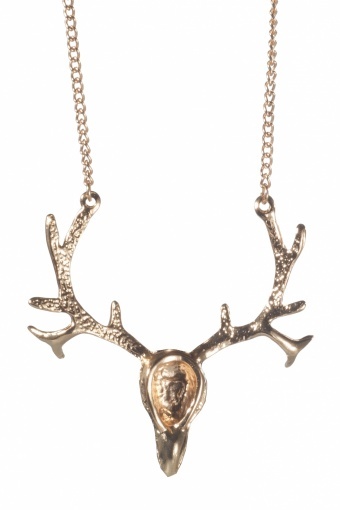 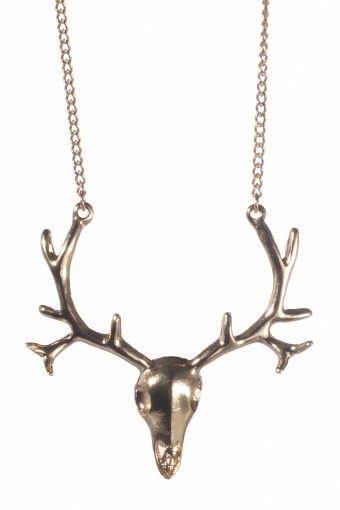 Really cool long Reindeer Trophy shiny gold necklace by From Paris With Love! 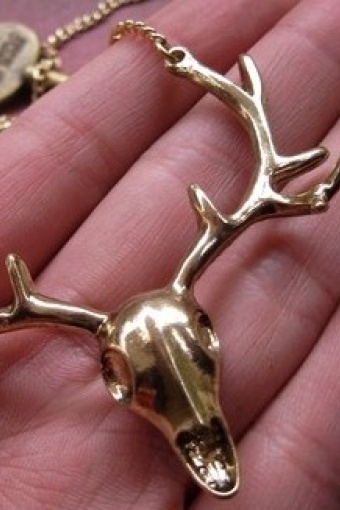 Very lovely designed reindeer skull with wide antlers. 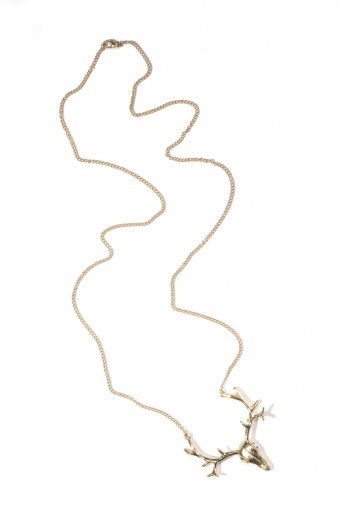 Material: bright and shiny gold tone metal (nickelfree) with lobster closure.